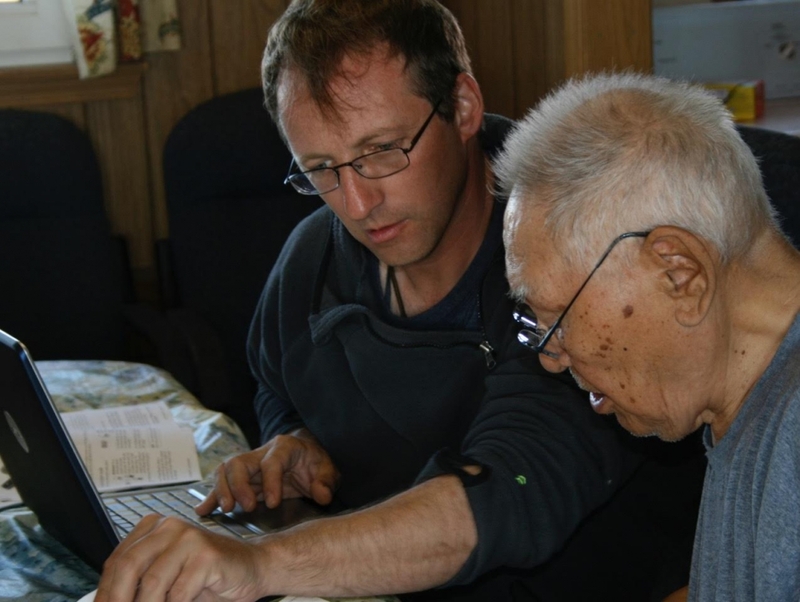 Aaron Fox working through the recordings with the late Iñupiaq elder and music expert Warren Matumeak. 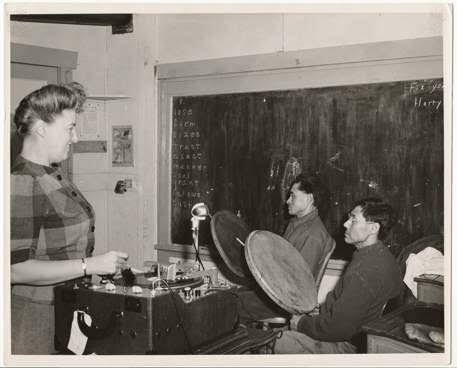 Laura Boulton with Joseph Sikvayugak and Otis Akhivigak in 1946, recording in the one room schoolhouse in Barrow. Researchers at UC Santa Barbara are trying to change that. Driven to explore and shed scholarly light on music, UCSB’s Center for the Interdisciplinary Study of Music (CISM) aims “to connect people across campus working on music to create points of conversation and dialogue.” That’s according to director David Novak, an ethnomusicologist and associate professor of music at UCSB. To promote such work, CISM sponsors an ongoing array of events, including films (it recently screened the aforementioned “Score”), concerts, workshops and symposia. For its ongoing series CISM in the Archive, a collaboration with UCSB Library, the center each year invites a music scholar to explore the historical sound archives in UCSB Library’s Special Research Collections, then present a public lecture. Much interdisciplinary work on music has developed in the humanities and social sciences, but Novak whose research explores the globalization of music and how it changes culture, sees potential for collaborations with natural sciences as well. “For example, marine biologists are recording the sounds of sea animals and plants and exploring what they tell us about ocean life,” he said. Other academics whose interests might intersect with music studies range from anthropologists, economists and historians to engineers, mathematicians and philosophers. CISM’s board, featuring faculty from film and media studies, sociology, Black studies, Chicano/a studies and history, as well as musicology, further reflects the diversity of disciplines engaged with such research. In the fall, CISM is planning an event with Alex Chávez, author of “Sounds of Crossing,” a book that explores the aural politics of Mexican migration through the sounds of huapango arribeño, a musical genre that began in north central Mexico. CISM’s interdisciplinary focus also extends to the emerging discipline of sound studies.